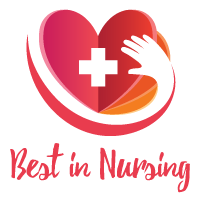 The American Health Council is proud to nominate Pamela Dudkiewicz, DNP, ARNP-BC, AOCNP as one of our “Best in Nursing”. She is a Nurse Practitioner in South Miami, Florida at the Sylvester Comprehensive Cancer Center. She has spent fourteen years in her current position but has been in the healthcare industry for twenty-nine years. She provides an expertise in Hematology. It is clear from her compassion and clinical insight, that she is a front-runner within her field. 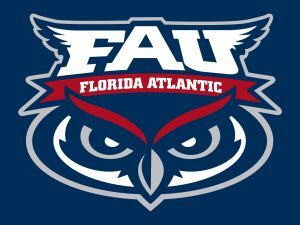 Dr. Dudkiewicz studied at the Florida International University in 1989, where she earned her Bachelor of Science in Nursing. She then went on to the University of Miami for her Master of Science in Nursing which she attained in 1998. With extreme dedication, almost fifteen years later, she attended Florida Atlantic University and in 2013 received her Doctor of Nursing Practice Degree. In the time she spent obtaining her doctorate, Dr. Dudkiewicz has acquired knowledge and proficiency in Hematology. Each day, Pamela Dudkiewicz, DNP sees patients in an outpatient clinic and treats them for various hematologic conditions, both benign and malignant. Her primary focus is to better understand the condition of each patient and how best to treat them for optimal outcomes. This is done by obtaining a comprehensive history and physical, appropriate laboratory and radiologic studies, and performing bone marrow biopsies when indicated. Her main areas of concentration are Lymphoma and Myeloma. She realizes the work she performs in diagnosing her patients is dire and each patient is to be treated with the utmost care. She does what she can to make them feel comfortable and safe when under her care. The passion Dr. Dudkiewicz has for her patients and the work she does is how she became so successful. It is rewarding to see her patients progress past expectations and excel towards a healthier and brighter future. Pamela Dudkiewicz, DNP believes that is what makes her hard work and long hours worthwhile. She considers it an honor to work in the healthcare industry and an honor to be able to help others. Dr. Dudkiewicz is always getting invitations to speak nationally and internationally on topics that relate to Hematology and has authored and co-authored several publications on those subjects as well. She is also on several speaker’s bureaus with various pharmaceutical companies. She also prides herself on being actively involved in the Oncology Nursing Society and as well as President of the Miami Dade Chapter of the Oncology Nursing Society in 2017. Dr. Dudkiewicz has won the title of Nurse Practitioner of the Year in 2016 for the work she has done in her career. She has also allied herself with several respected medical organizations such as the Florida Nurse Practitioner Network and the Oncology Nursing Society. Having the ability to change others’ lives for the better is Dr. Dudkiewicz’s biggest personal and professional achievement. She truly prides her work on the betterment of her patients and is only satisfied by their recovery and satisfaction in their medical care. Pamela Dudkiewicz, DNP is already planning her future by keeping herself updated on the rapid advancements being made in cancer care. She is currently focused on the development of new targeted therapies such as CAR-T cell therapies, immunotherapies, as well as all novel agents that are being developed to help patients live longer healthier lives. In keeping up with these new and evolving advancements, Dr. Dudkiewicz hopes that their chances of finding a cure increase. When Dr. Dudkiewicz has time away from work she enjoys reading, cycling, and spending time with her family. She became proficient in Hematology. Always getting invitations to speak nationally & internationally on topics that relate to Hematology. Has published two works on the subject, on her own. Sylvester Comprehensive Cancer Center seeks to reduce the burden from cancer and other illnesses through research, education, prevention, and high-level patient care.